As a chick who is horrible at cooking (the oven has it out for me) your site has helped out tons. Thank you. My sister is a pretty picky eater so it’s hard to find something new to make that she’ll eat. 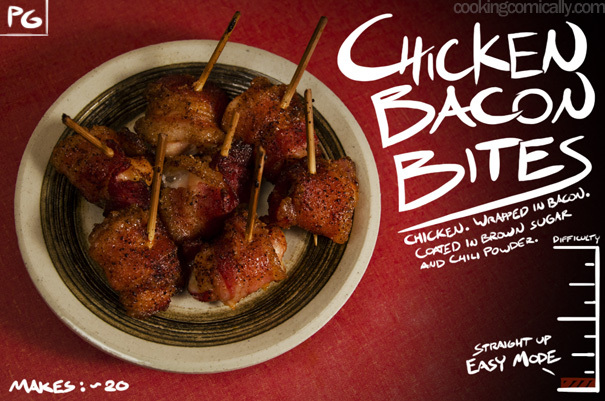 I made these chicken/bacon bites and she loved them! Thanks for the recipes!